One of the best involves contemporary pharmacy compounding, the art and science of preparing customised medications for patients. 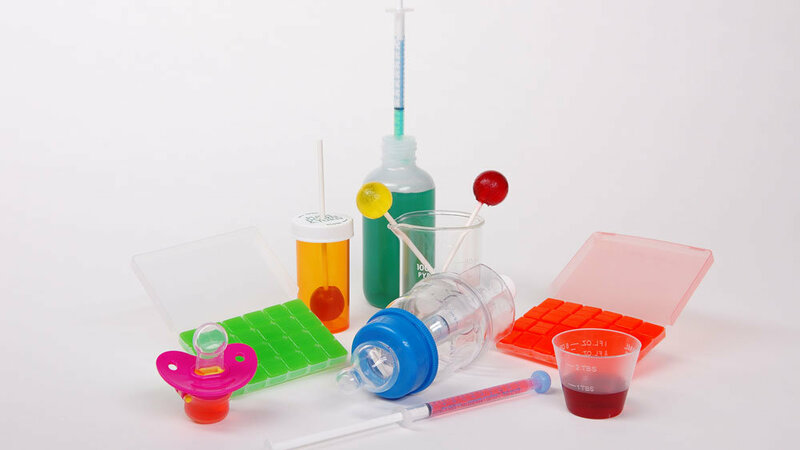 From flavouring medications to make them taste better, to providing individualised strengths and dosage forms, a compounding pharmacist can help make medication time easier and less stressful for your child – and you! Many children refuse medication because of its texture or colour, or simply because they know it is medicine. The child who refuses to take his or her medicine because of the taste is a prime candidate for compounded medication. Many medications can be transformed into colourful, pleasantly flavoured dosage forms, which are dispensed in childproof packaging. Dozens of enticing flavours are available to compounding pharmacists, who can enhance the taste and colour of a medication without changing the medication’s effectiveness. Each child is unique. Children differ in size and individual needs. Some have allergies and varying drug tolerances, requiring medications which are sugar-free, gluten-free, casein-free, soy-free, or dye-free. As a result, can be a challenge to find a commercially available medication suitable for your child’s individual needs. A compounding pharmacist working closely with a caring paediatrician can formulate a medication which meets all the child’s requirements. Your child deserves individualised paediatric care. Ask your healthcare provider or our pharmacist today about personalised compounded prescriptions for children.